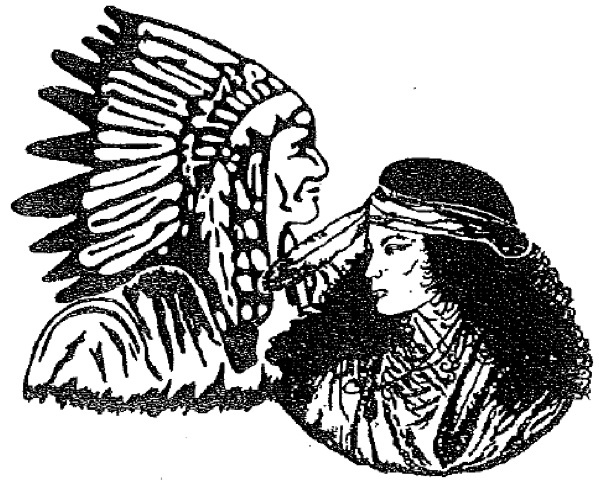 The Seminole Texas Independent School Distr ict calls its male athletes “Indians” and its female athletes “Maidens,” as in Varsity Maiden Softball and Varsity Indian Basketball. The school district’s website and school materials employ several different pictures with stereotypical, if not especially Seminole, images of American Indians with feathers in their hair. But, wh en a 5-year-old showed up for kindergarten with a long braid, as is the custom of his Navajo people, he was sent home. The district forbids mohawks and ponytails, as well as patterned shaving of the hair, for boys. Religious exceptions are permitted, however, with prior approval. In this case, according to Laura Lanmon of CBS, the mother contacted the Navajo Nation and other organizations for help. She showed the school the child’s Certificate of Degree of Indian Blood, and the school permitted him to enroll without cutting his hair. (Photo: CBS News in Seminole; see also ColorLines). According to local press, the child’s mother remains distressed that the enthusiastic young pupil missed his first day of school. She is reportedly contacting a lawyer to protest district policy. Several years ago, an Apache child in another Texas town was told his long hair was against dress code. His family underwent a two-year battle for a religious exemption, although a temporary injunction allowed the 5-year-old to attend school, without cutting his hair, while the case was decided. A blond child of a family with Cherokee customs faced additional scrutiny. Around the country, cases like these continue to arise. The American Civil Liberties Union has often been called upon to represent students. Also in this back-to-school season, a Rastafarian youth has been indefinitely suspended from a Louisiana school because his dreadlocks are longer than allowed by dress code. The ACLU has demanded a quick hearing, expecting the student to be granted a religious exemption and his disciplinary record cleared. For information on dress codes, see the ACLU’s website. The site also offers material on student rights, state-by-state, and how to defend them.